In August last year we loaded up the van and headed for the Essex coastline, our destination was Osea Island. Osea Island is an island in the River Blackwater that our lovely couple Martha and Ed had hired for the weekend. 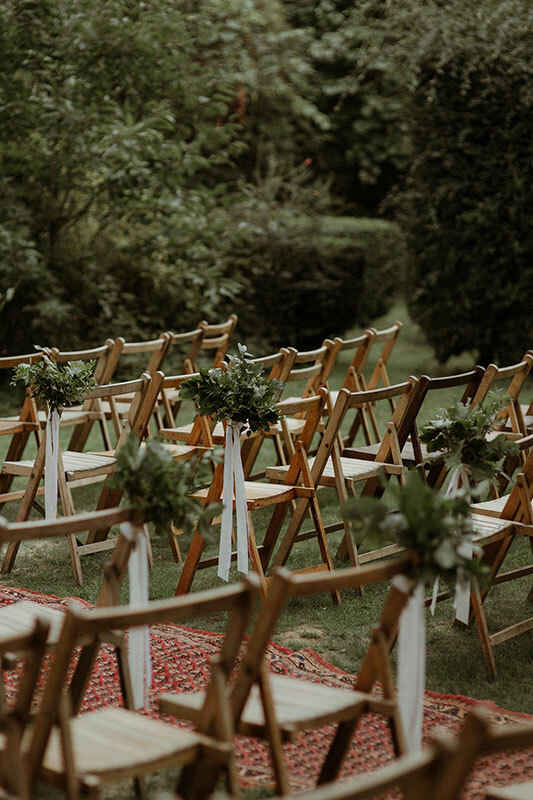 Their secret garden ceremony had an aisle lined with bunches of seasonal foliage tied to vintage chairs with silk. 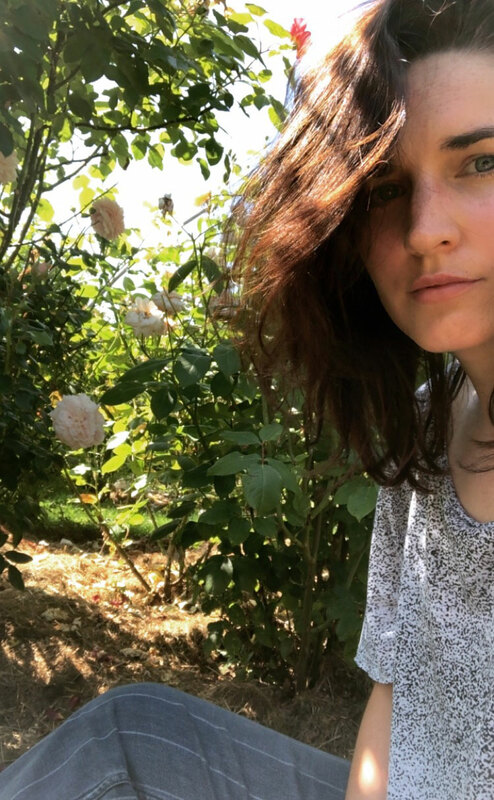 A very large statement urn stood at the entrance to the garden filled with large Cafe au Lait Dahlias and trailing mile a minute vines. 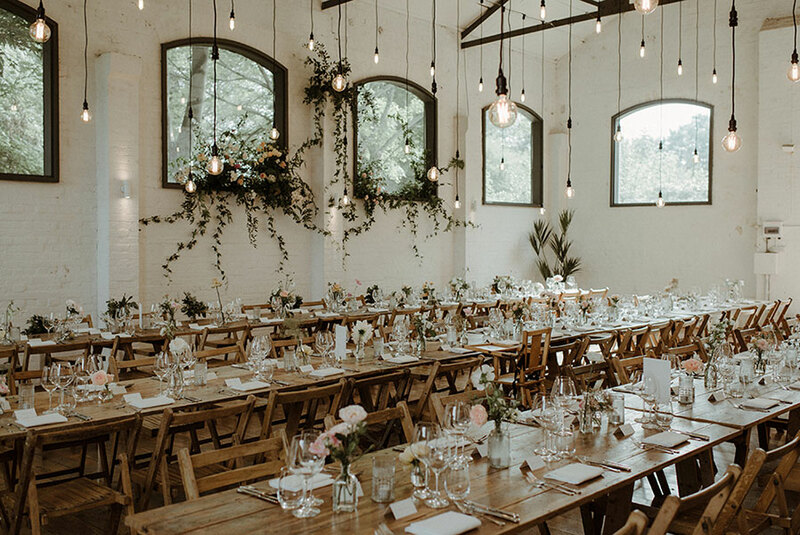 Martha and Ed held their wedding breakfast within an old industrial building on the island, the Powerhouse, this was a great space with a blank canvas for us to create a focal point. 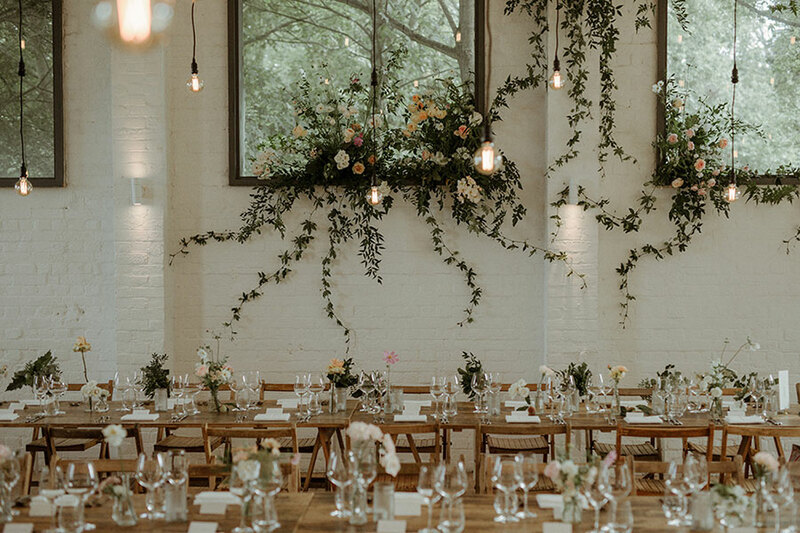 Martha trusted us completely to create a wild installation piece for behind the top table. 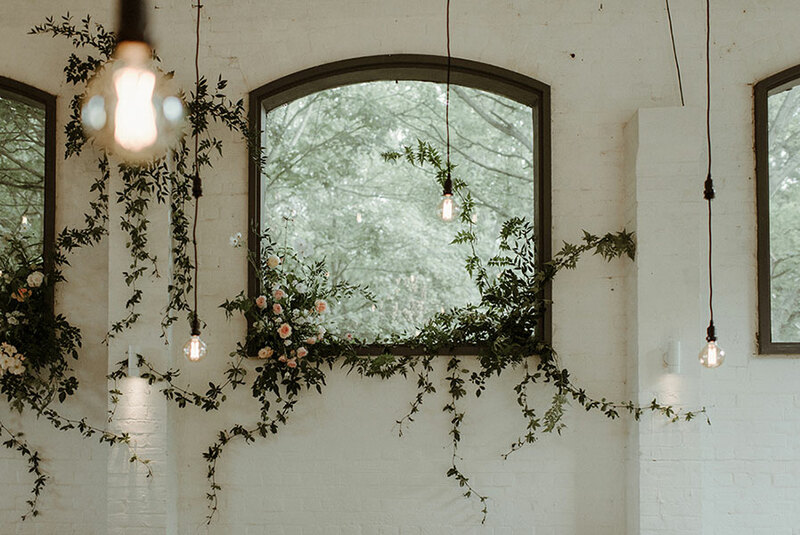 This large wild and sprawling installation piece bloomed out of the window as if growing through the cracks in the wall, using vines and seasonal foliage we created delicate intertwining gardens that covered the wall behind the top table. 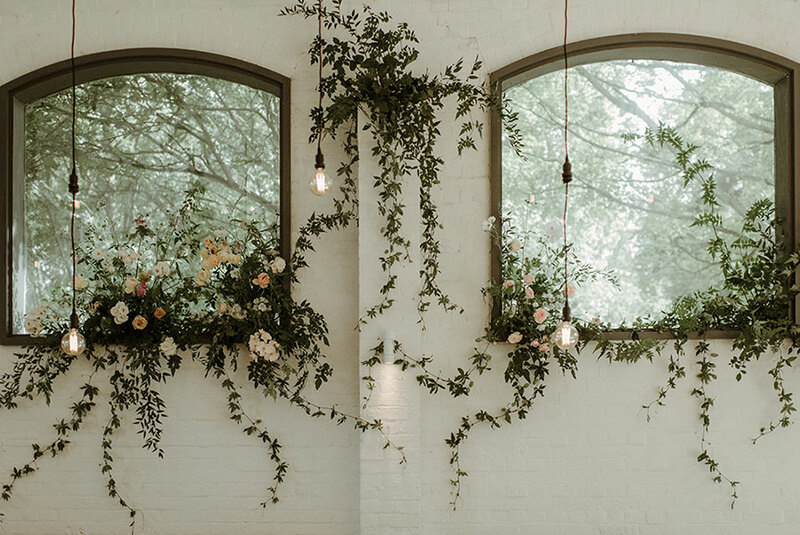 Their wedding breakfast tables were decorated with simple glass bottles and vessels with small arrangements and single stems, we gathered tiny perfectly coloured apricots that were growing in the secret garden to add to the tablescape. 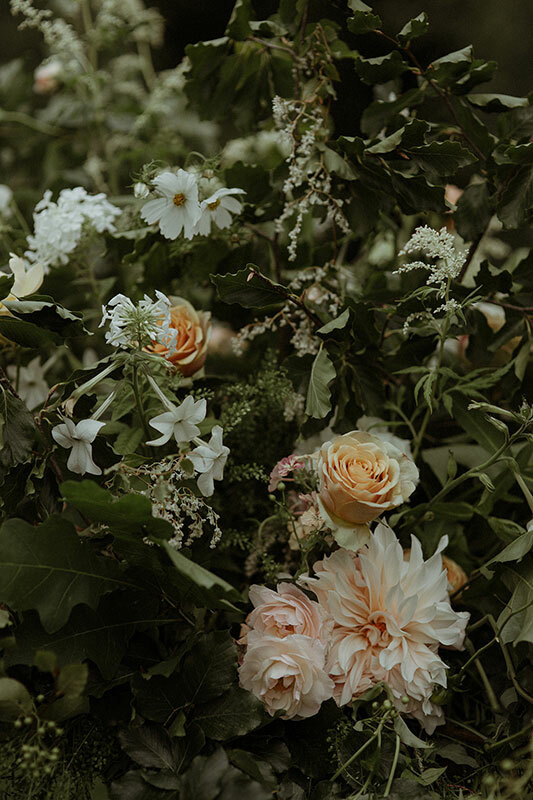 The installation piece was filled with tall elegant white Cosmos, fluffy white Scabious, pale delicate pink and cream garden Roses and dainty Japanese Anemones. 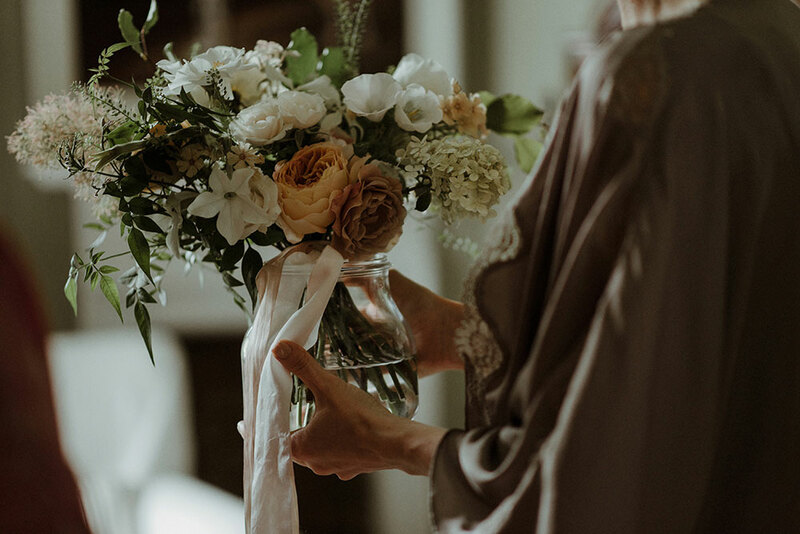 Martha carried a bouquet packed full of heady garden Roses, delicate Hydrangeas and evening scented Nicotiana, wrapped in simple cream and pale pink silk ribbons. Shout out to Paula & Lily, who made the weekend very memorable. The planner was Charlie from London Bride.